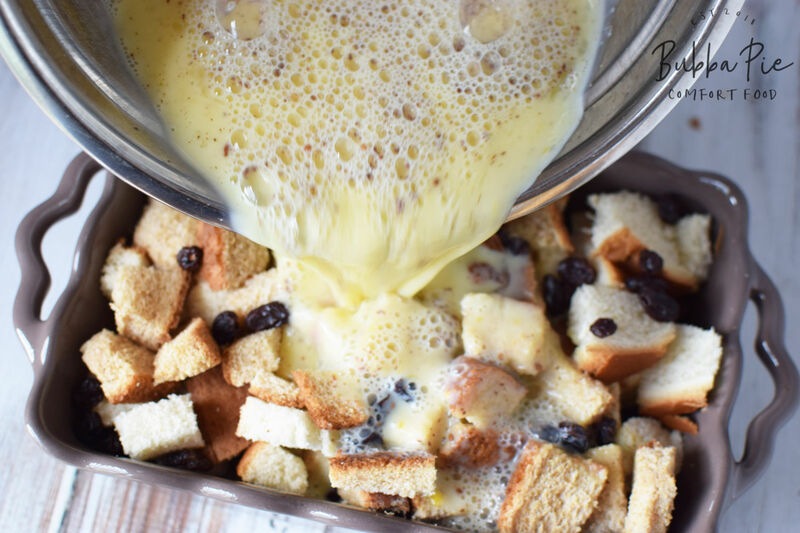 This easy bread pudding recipe is the ultimate comfort food. It is super simple to make and is the perfect dish to warm you up inside on a cold day. I’m not sure when I first tried bread pudding. I believe it was at a restaurant. One of those fancy places that only give you one or two options for dessert. To be honest, bread pudding didn’t sound that good to me. I’m not sure what the other option was, but I’m assuming it was pretty gross because I opted for the bread pudding. I like bread. I like pudding. But it is one of those things where I just don’t see them working together to make any sort of dish that I would consider trying. Bread pudding: it just didn’t make sense to me. But, I tried it. And boy am I glad I did. I loved how soft, rich and warm it was. I was sweet, but not too sweet. Some desserts just have way too much sugar in them, I like Bread pudding because it has just the right balance. Now, I usually get bread pudding at a restaurant when I see it on the menu. I love that it is, at its base, a simple recipe, but that there are so many different things that you can do with it. 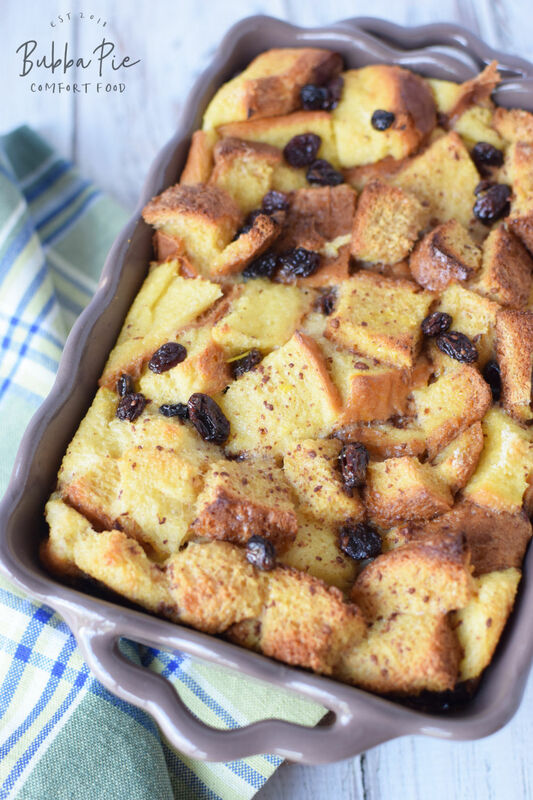 I’ve had all sorts of different kinds of bread pudding recipes. It was only a matter of time before I decided to try to make it at home. For more delicous bread recipes check out our Chocolate Chip Bread and our Banana Blueberry Muffins! I never put a lot of thought about exactly what ingredients you need for a bread pudding recipe. But, like a lot of great comfort food, it really is pretty simple. Most of these ingredients, you probably have in your kitchen right now. It always boggles my mind to think about how many great things that I could make right this minute without even having to go to the store. I’ve had the ingredients to make this bread pudding recipe all this time, and it never occurred to me to combine them together in this way to get this result. That is the beauty of cooking. 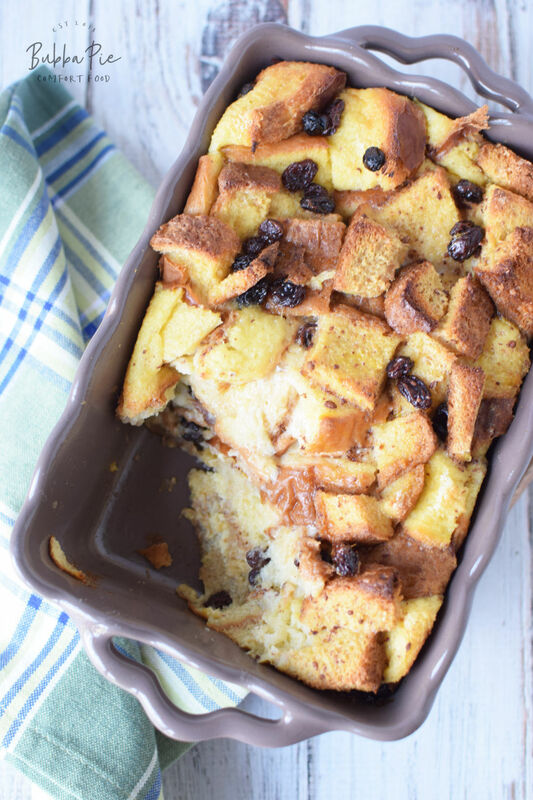 I used a combination of white and wheat bread to for my bread pudding recipe. But, really, you can use just about anything. Feel free to experiment. Also, you can make it with or without raisins, or you can substitute cranberries or dried cherries! 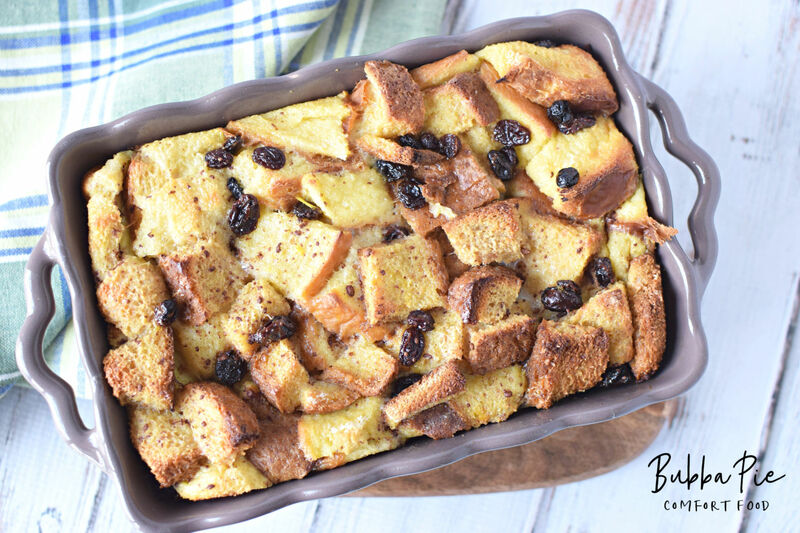 I hope you enjoy this easy bread pudding recipe. Let me know what you think! Preheat oven to 350 and grease a casserole dish with nonstick cooking spray. Layer bread in dish with raisins. Continue until dish is full. In a separate mixing bowl, add eggs and beat well. Stir in milk, sugar, vanilla and cinnamon. Pour mixture over bread making sure to coat all pieces. If necessary, push the back of a spoon into the pan to make sure all the bread is coated in the egg mixture.